Mark Weins - Kat-A-Kat Masters in Pakistan. Amazing Street Food in the World! All the dust in the air is also part of the kat a kat. Bottom video, girl is totally right. We have no proper set up for tourism, govt needs to do lot of work. Mark Weins has millions of fan following so it really means a lot if he is promoting the positives of Pakistan. if you agree with any post ,you can click icon ! Mark Weins and other vloggers coming to Pakistan really want to earn more money by luring more people to watch their videos on YouTube. A big number of people watching their videos is Pakistanis themselves. I think that is why these vloggers try to give a very positive and flattering image of Pakistan. Interestingly lot of Indian young people also watch YouTube content on Pakistan despite all the animosity - reason in my opinion is curiosity about the enemy country. things are changing rapidly, govt is learning fast and fixing things with regards to tourism. compare your past trip with your recent one to the northern areas. not only that, the local behavior is also changing and ready to adopt the necessary adjustments. 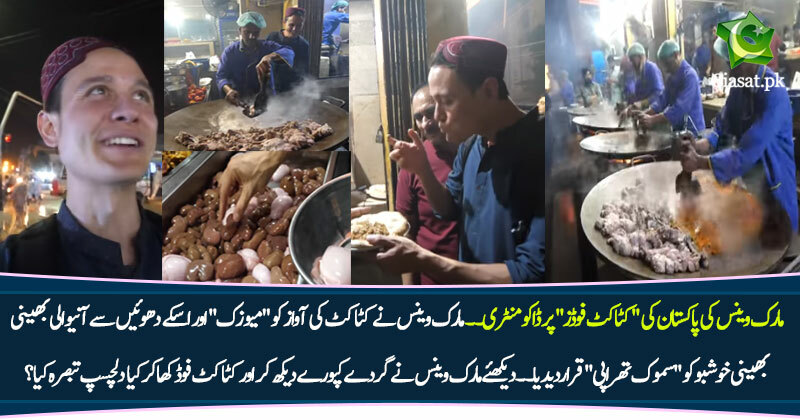 yaar all the positiveness is destroyed when a enthusiastic tourist land in Pakistan without a well connected local. fast learning was to pull invite on this poor gal!